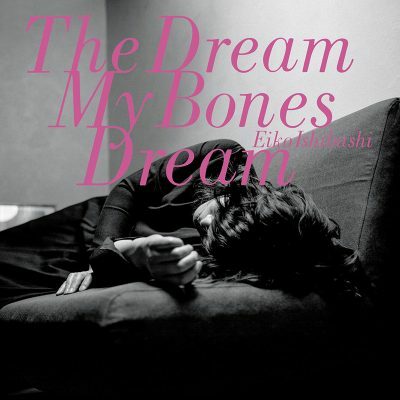 After receiving plenty of initial buzz in Japan, Eiko Ishibashi’s The Dreams My Bones Dream is getting a U.S. release from Drag City. Billed as a musical tour through her ancestors’ lost history, the album attempts to find a way to extend past the individual moment of its creation. Ishibashi combines sounds of the past with the reality of the present, forming tangible wholes out of ephemeral ghosts. While any listener—like myself—who lacks the Japanese-language skills necessary to translate the lyrics will miss out on the album’s verbal element, the music accurately represents the sense of travel and recollection that Ishibashi intends to convey. Ishibashi finds a perfect balance between taste and expression with the way she laces field recordings of trains into “Iron Veil.” The placement is never heavy-handed enough to feel overwrought, but also never so buried as to lose the identity of the sounds. The listener is constantly reminded of the rhythmic chug of the engine, giving the music a uniquely mobile feeling. While musical variance is more than present, it’s the subtle things that hold The Dreams My Bones Dream together that feel the most impactful. The initial run of three tracks cross a huge stylistic breadth, moving from free-feeling drones on “Prologue: Hand on the Mouth” to shuffling art-pop on “Agloe” and motorik-style groove on “Iron Veil.” Regardless, elements like the suave trumpet lines laced into each song and the subtle complexity of the drumming provide a throughline. The musicians are always developing their sound and ideas, but not so much as to leave behind the defining factors of each composition. The middle of the record offers some instrumental cuts that don’t diverge from the vocal-driven songs as much as complement the emotional themes with more abstract music. “Silent Scrapbook”—whose harrowing title perfectly represents the album’s core concept—is an unfathomably gorgeous synthesizer piece. Its simple repetition manages to feel massive and transcendent, especially as the sounds open up and consume each other toward the track’s finish. The following track, “A Ghost In a Train, Thinking,” is a direct contrast. The percussion is at its busiest, and the wandering melody gives the music a dizzying atmosphere. As the album moves toward its close, the emotional core becomes that of reflection and contemplation. “To the East” is a piece of jazz-pop with some of the album’s richest, most passionate harmonies. The closing track, “Epilogue: Innisfree,” uses dense string clusters to support the delicate singing that lies atop. The album certainly doesn’t end in a bang, but this slow fade out adds a serious tone. While some of the preceding music has a playful feeling, there’s no escaping the gravity of looking back into a complicated past; it’s a process that brings about equal parts triumph and trauma, respect and reproach.